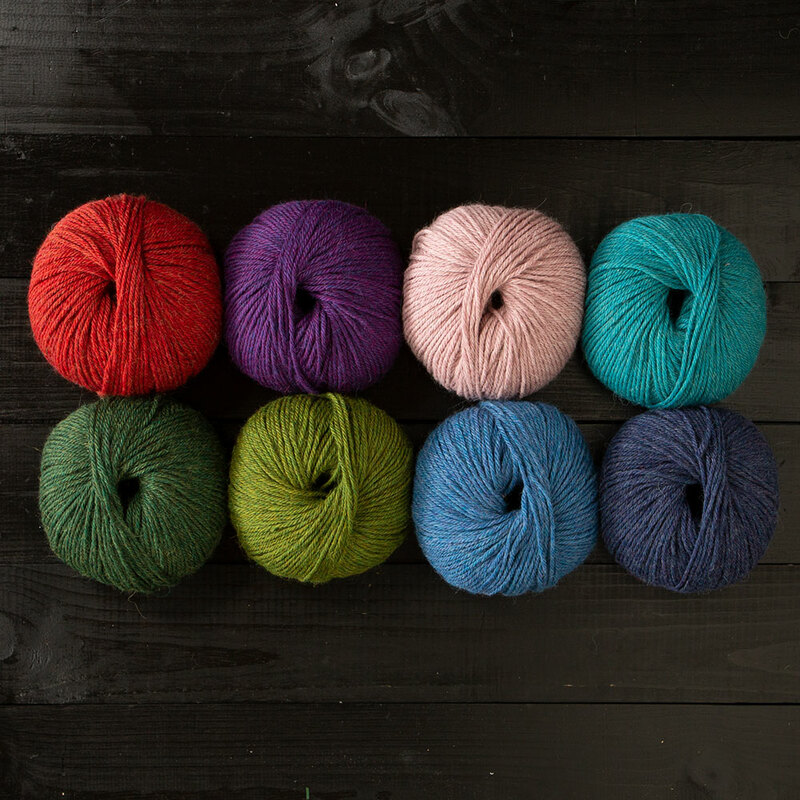 Beautiful heathered colors add depth to this super-soft and warm yarn made from baby alpaca fiber. 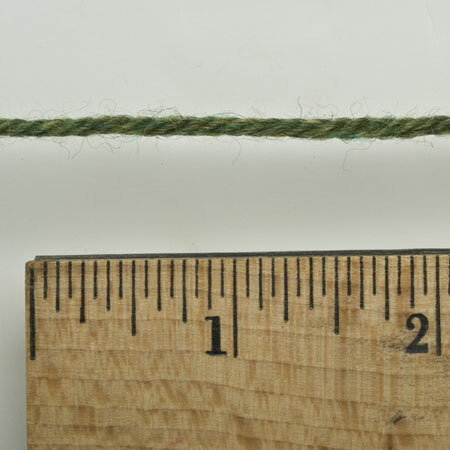 Alpaca fibers are sorted by their diameter (micron count), and the finest fibers are the softest. 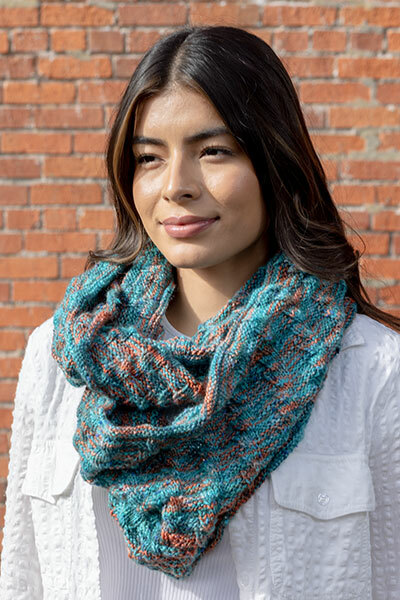 Baby alpaca is one of the softest and finest classifications of alpaca, and you will definitely enjoy the luxurious feel of this yarn against your skin. 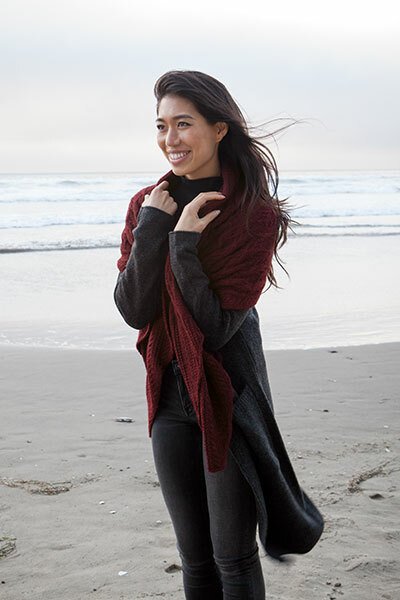 The softness is irresistible - count the number of hugs you get when wearing a sweater in Andean Treasure vs. other sweaters, and this one will win, hands down! 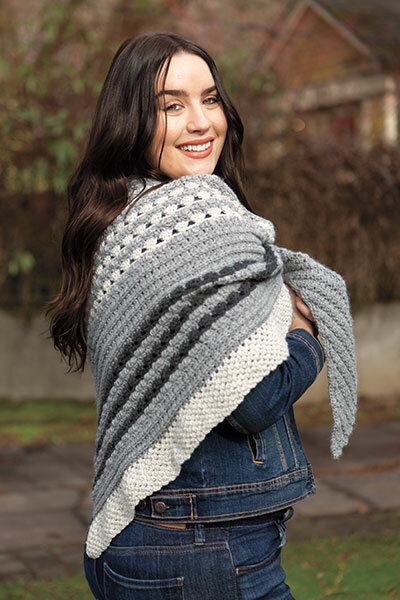 Excellent for items that are worn close to you - scarves, vests, legwarmers, pullovers, even mittens. Feltable. "I have quite a soft spot for alpaca, and Andean Treasure is no exception. The drape is excellent and the knitted fabric is luscious, but what really did me in were the heathered colors. There is so much depth in this yarn that it seems to glow from within. I love it!" "I just finished a vest for my sister in Andean Treasure, and I loved working with it. The yarn showed off my delicate cables nicely, and the finished project has the perfect drape and sheen. The alpaca makes it toasty-warm, which is perfect for her winter wardrobe." If I could afford to always buy only this yarn I surely would. It is the softest most wonderful fiber I have ever touched. I made a hat for hubby and he said its the warmest hat hes ever had. It was all grays...beautiful colors. Boy i surely would love some bright colors and i would buy a decent amount. Dont ever discontinue the best yarn you sell. Please don't ever discontinue this yarn. The colors are saturated and pure, the fiber super yummy soft. It's like candy for my fingers. I love absolutely everything you guys make. But never ever get rid of this. If I want to make a gift, this is my default. I've made myself several pieces with this yarn, and hope to make many more. Oh my gosh, I'm in love! I just received my 2 balls of Dogwood Heather, and although I haven't even started my gloves with it yet, and the color is not what it appears on the web site (it's much more peach than pink, but a really gorgeous peach), the softness of this yarn is to die for! 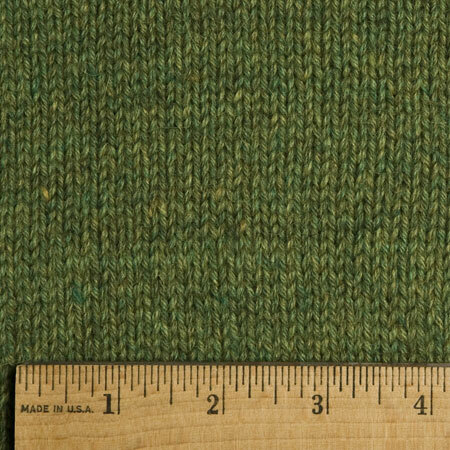 I've never cared for Merino wool, as it seems to stretch out severely and completely lose structure when washed no matter which method I use (which was extremely disappointing, given the time and money I invested). I got these 2 balls of Andean Treasure to try for gloves, and I can't wait to knit them; I'm certain I'll get them done quickly, as this yarn is too soft and squishy to put down! 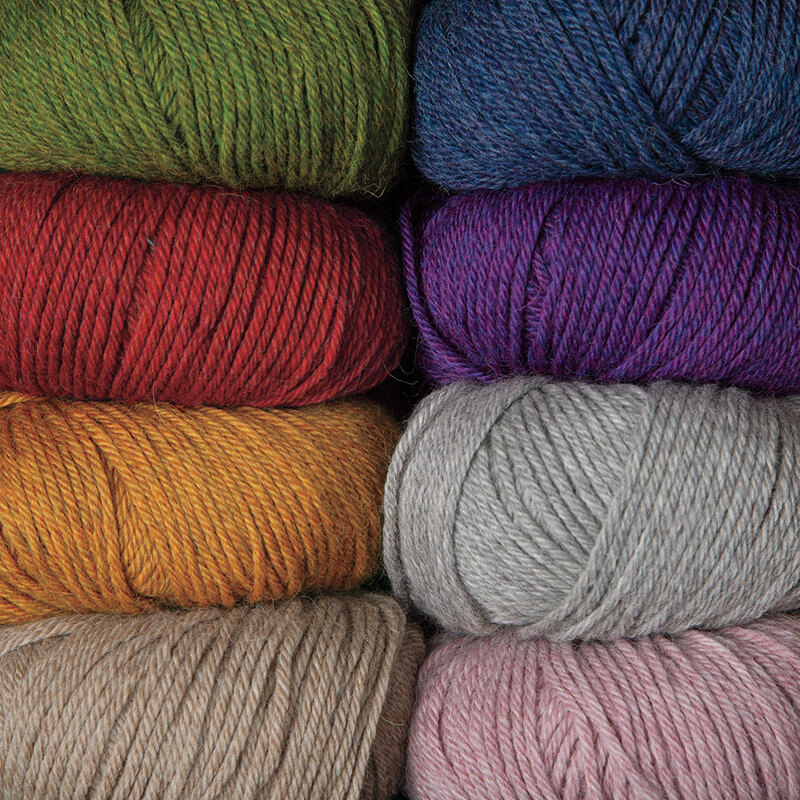 As long as my gloves then hold up well to washing and drying, I'll be ordering a lot more of this fabulous yarn. Hope you'll add more colors, Knitpicks! Loved the softness of the yarn & the way it knits up. My sister requested a pair of Fair Isle mittens, and I'm having trouble imagining giving these puppies away after finishing! It's a dream to knit with. My only minor issue is colorways not quite matching image / description. The Midnight Heather that I bought is definitely dark green without even a hint of blue; not evident from far away, but quite obvious up close. With the pattern being a recreation of the night sky, not ideal, but like I said, you can't really tell from far away - it looks more like black from far away. I just started a hat with this lovely yarn. I'm so so happy I chose this. Never in my life have i felt yarn this soft. How am i supposed to knit with any other yarns now? This is like having a kitten in my hand while I'm knitting. The stitch definition is just remarkable. Its beautiful. I'm knitting the lonely wolf pattern for my husband. I cannot wait to give it to him. I need more of this yarn now. I'm going to order 3 more skeins for myself, you won't be disappointed if you buy this yarn.